The story of how the talents of Beatrix Potter were recognised and published and became loved by so, so many. 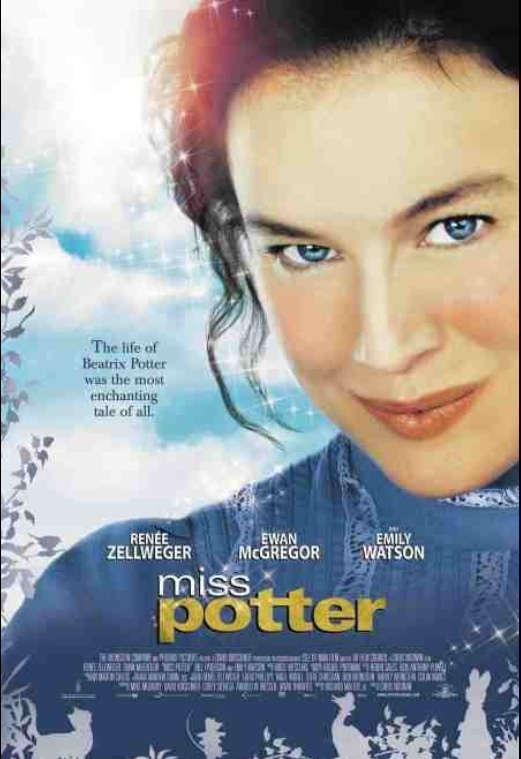 The movie concentrates on those early years with an emphasis on the romance between Potter and publisher (Ewan McGregor)..
Clearly unhappy with the social climbing aspirations predominating her life (courtesy of her parents) Potter’s childhood talent for telling tells of wilful rabbits and proud ducks offers a way of possibly finding true independence; a rare thing for a woman in Edwardian England. Things to look out for:the sadness that comes with this story; the interactions between Potter and the creatures of her imagination; the recurring musical melodies, offering a lovely backdrop to the tale.